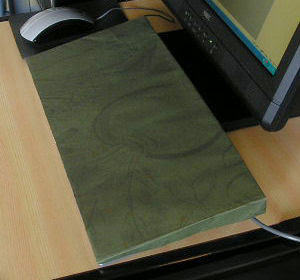 To protect a keyboard from dust, covering is good. 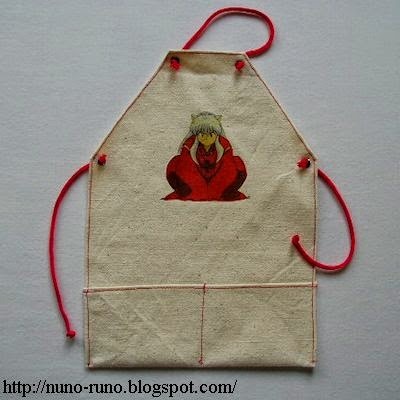 There is a way to put a handkerchief. Sometimes it may be blown away. Why not make a cover with paper? 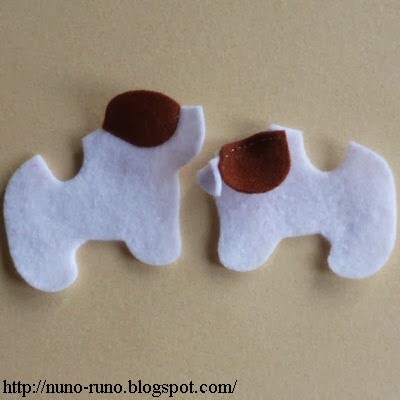 Fold the 3 sides of paper and glue the corners. A fitted cover doesn't slip. 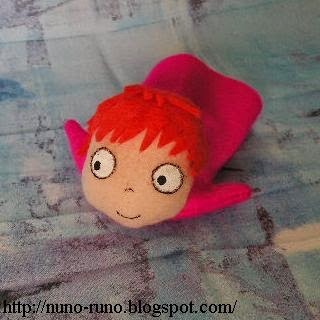 Ponyo is a little fish girl from "Ponyo on the Cliff by the Sea", animation movie. 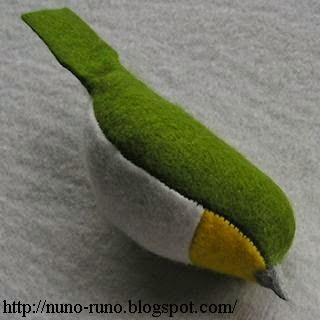 This is made of felt. 9 cm. 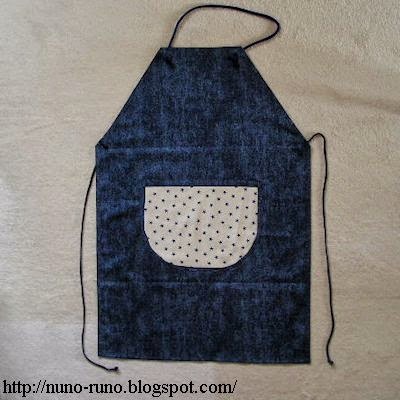 Kids, why not sew a simple apron for mother or father? The unit is centimeter. 1 cm is 0.4 inches. 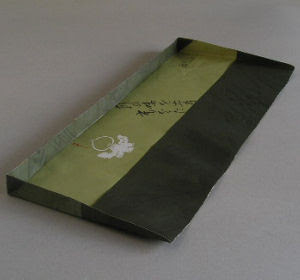 Cut a rectangle cloth. Remove 2 corners. Fold the lower hem for pockets. 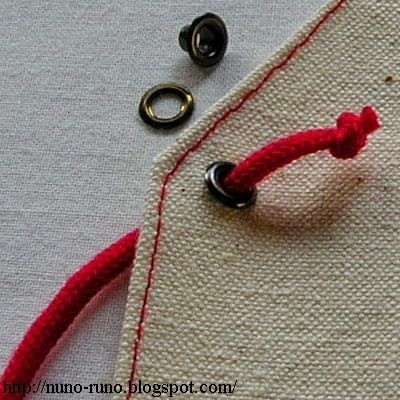 Make holes and attach eyelet rings. This is iron transfer print. This has a patched pocket. I have made several Bunka dolls. Strictly speaking, they are not Bunka dolls. 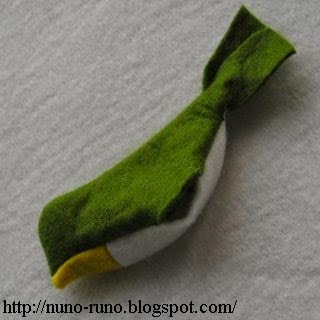 Bunka doll is traditional thing. 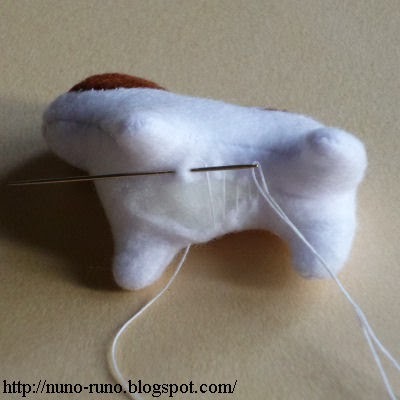 There is the orthodox way on Bunka doll making. Genuine Bunka doll's body is hard. 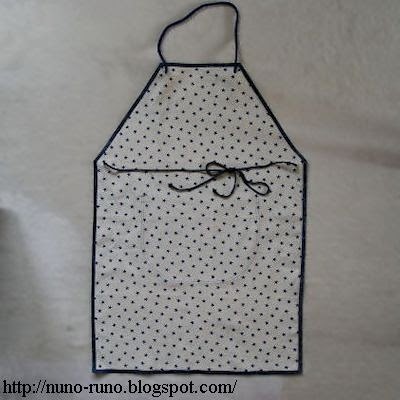 Its clothes and bonnet are sewed to the body. My Bunka dolls are soft. They are, as it were, enlarged "mini doll". I use irregular method. I must not open it to the public. You are free to make one in your own way. 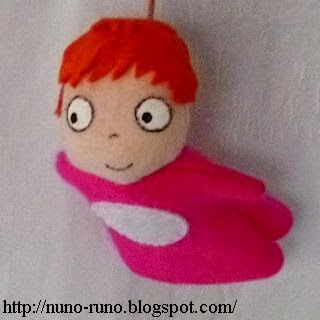 Bunka doll has a characteristic face. 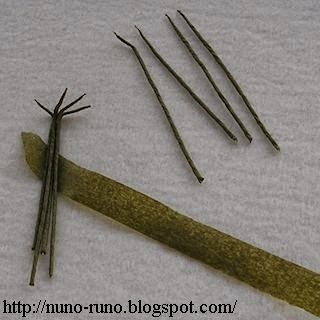 Whatever doll that has such features may be called Bunka doll (in broad sense). Materials for stuffed animals are expensive. So more often than not, I make some trial things with cheap fabric. This is important process. They are funny. I have no talent, but endeavour. 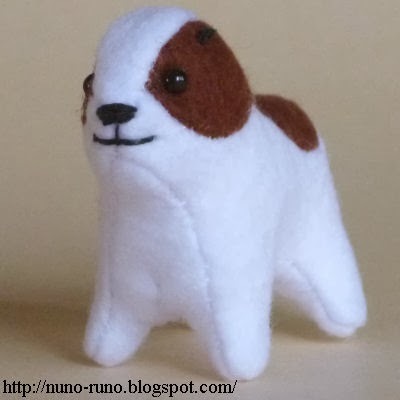 Not whippet. It was Kishu dog. Flying squirrel, hamsters, ermine, ferret head, rabbits. 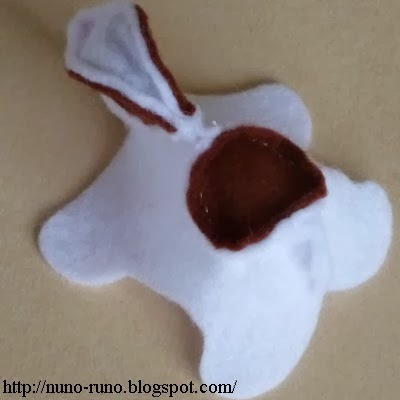 During making one in practice, I alter the pattern again and again. When it is done, the pattern is broken, or there are lots of fragments of ex-patterns. I don't care. Because I hardly make the same thing. Heads of Newfoundland and Cavalier King Charles Spaniel. Newfoundland has been done, but still has problems. 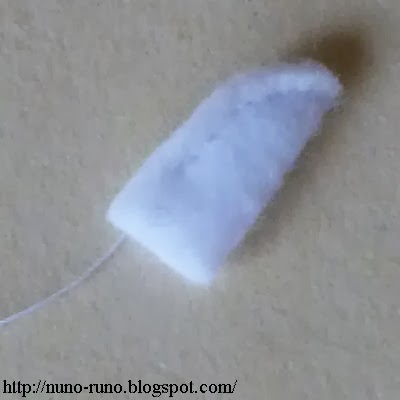 I use flannelet or polyester fleece for those experiments. This black cat was made with enlarged pattern of ragdoll kitten. I've made 20 stuffed cats. But nothing of them is satisfactory. 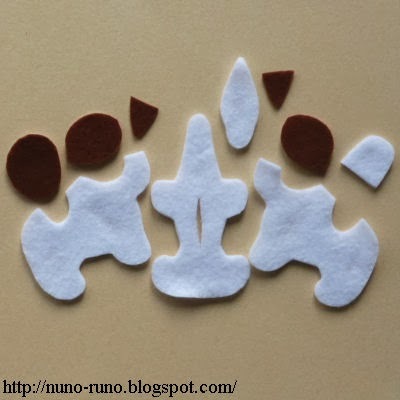 Cat making is not so difficult. To make the face cute is difficult. I don't think that the pattern is bad. The balance of eyes, ears and nose makes the impression of the cat. I need more trial and error. There are a lot of cat toys at shops. It is hard to find a really cute cat. Difficulty is not only on me. A cat of human type. Unreal cat is easier to make features. Instant bride doll which is made of paper tissue. Do you laugh about its rawness and roughness? 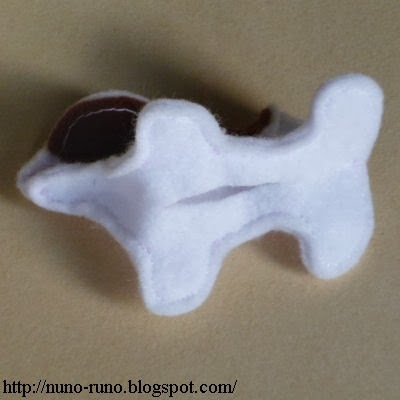 When I was a child I used to make various things of tissue. My parents were poor, so they could not buy me enough toys. Children of today have a lot of toys. That may make their creativity less. Old days, we played with simple and naive things. A hand puppet of gloves and a hanky mouse. I'm making a new life-sized doll who will be 5 feet 7 inches tall. The hair is a wig (cap?) of furry fabric. My house is too small to keep a big doll. So I make his body after the sales contract. The body is almost same as 6 feet doll. This is for sale only in Japan because of high shipping. After all, he became 6 feet 1 inch tall. 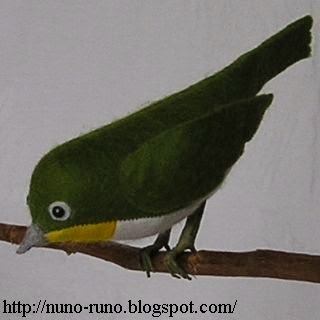 White-eye is a small bird with yellow green body, whose eye is on a white ground. 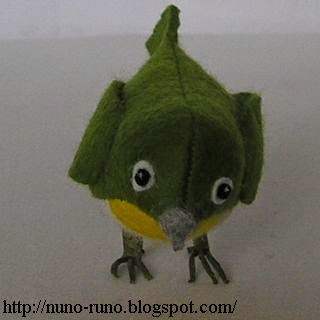 Why not make a bird of felt? 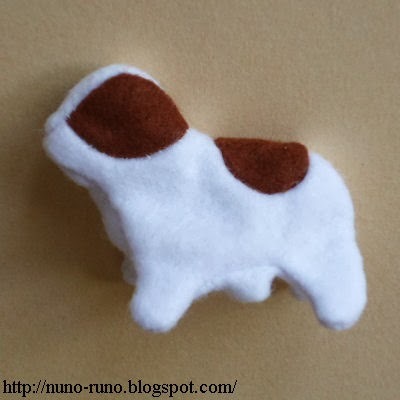 Sew the body except the tail. Turn inside out. Glue the tail and iron it. Then trim it. The beak doesn't need seam allowance. Glue it on the top of the face. Some glue makes the beak hard. Stuff the body with polyesterfiberfill. Glue white and black circles on the face. You may use beads as eyes. 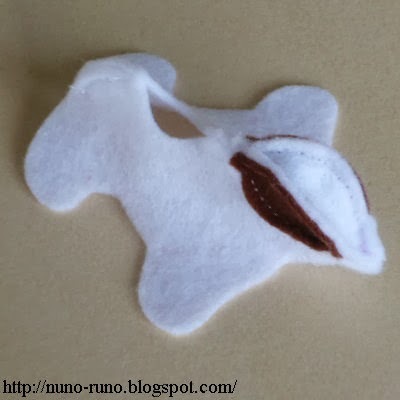 Cut the wings and glue or sew them. Wrap a wire with a tape. Bundle 4 wires together. It is a leg. Make 2 holes on the belly. Stick the legs. 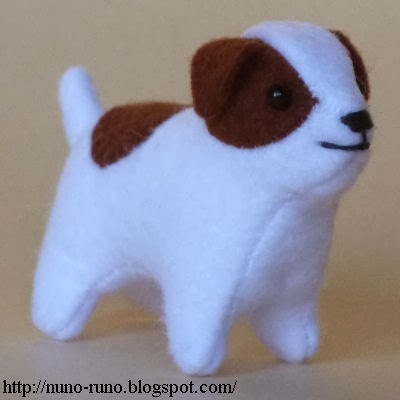 Tiny Jack Russell terrier of felt. About 4 centimeters. Cutting. 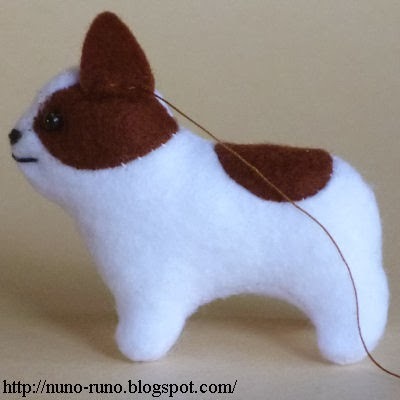 It needs seam allowance (3 millimeters), except ears. Close the opening (k-l) with ladder stitch. Sew the ear to the head. 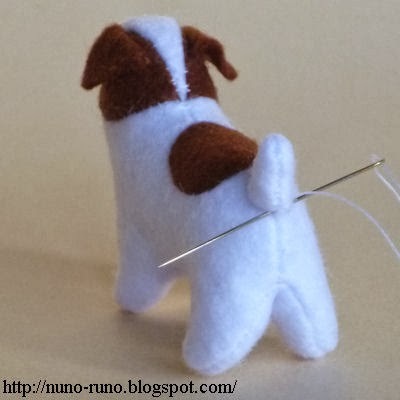 Sew the tail. Turn inside out. Stitch the tail to the hip. This article was renewed November, 2013.